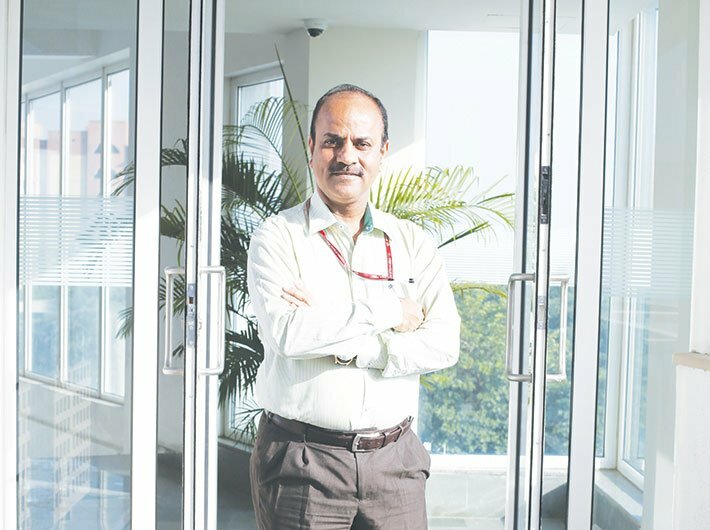 Achal Khare, MD, National High Speed Rail Corporation, is a man with big responsibility – of realising India’s dream of running a bullet train. In conversation with Vishwas Dass, Khare lists various challenges before the NHSRCL – the executing agency of the Ahmedabad-Mumbai high speed rail (HSR) project – and the road map for the development and implementation of HSR projects in India. What are the major challenges ahead in introducing India’s first bullet train on the Ahmedabad-Mumbai route? Construction of a 7-km undersea tunnel, which would pass under the mangrove areas and a flamingo sanctuary in Mumbai region, is one of the biggest technical challenges. It would have disturbed the mangroves and ecological balance if we had chosen the elevated corridor. Another challenge is the construction of high-speed rail stations at locations where Indian Railway stations – Vadodara, Ahmedabad and Sabarmati – already exist. There is a plan to connect bullet train stations with these three Indian Railway stations. It is a big challenge to carry out construction work of the high-speed stations and platforms at the height of 14-15 metres at these crowded railway stations, having a huge number of trains and passenger footfall. Usually, the high-speed alignments are at 11-12 metre height from the ground. If there is a metro or road over bridge, then the height of the high-speed station would be further increased. In Sabarmati, there is a road over bridge close to the proposed station and the metro is also coming up. So, the height of the Sabarmati high-speed station will be 20-21 metres. In Vadodara, both sides are densely inhabited due to which limited working space is available. The same is the case with Ahmedabad and Sabarmati where the Indian Railways has got expansion plans and we will have to plan high-speed alignment keeping in view that the said stations’ plan is not disturbed. Mumbai would have one underground station at Bandra Kurla Complex (BKC) close to the Mithi river and we have to cross the river for doing excavation for the tunnel. The undersea tunnel will have a large diameter of around 12.5 metres, having two tracks in a single tube while the metros have tunnels of a 6.5-metre diameter and one track in a single tube. Since, Ahmedabad-Mumbai high speed train is a mega project, it requires huge manpower and training them is certainly a challenge. The high-speed Shinkansen system is completely a new technology and we are yet to fully understand it. Acquiring technological knowledge and imparting training to staff are extremely crucial. We need to have well-trained human resource. A total of 300 officials are planned to be trained in Japan and 10 of them have already left for a 15-day training course. As per the estimation by the Japanese, the project requires around 4,000 personnel under several categories such as locomotive drivers, guards, station staff, operation control centre staff, maintenance personnel, signal maintainers and electrical staff. There will be a big depot at Sabarmati for periodic overhaul of the trains, while a small depot at Thane will be built for weekly and monthly maintenance. Around 20,000-25,000 persons would be required for construction of the project. When exactly will the construction of Ahmedabad-Mumbai high-speed train take off? The work of the training institute in Vadodara has already kicked off and would be completed by December 2020. It is the first thing to be completed – for training the manpower. Most of the other works such as laying viaducts [a long elevated roadway consisting of a series of short spans supported on arches or piers] would start by September 2018. Is it true that Japan’s financial aid to India is a tied loan? Will Indian companies get enough opportunities to participate in the high-speed rail project? Kindly elaborate on the ‘Make in India’ factor. The loan from Japan is not a tied loan. It is a special loan. Japan has a tied loan system but for the Ahmedabad-Mumbai high-speed train project, that is not the case. It is being misconstrued by many. Out of the 508-km length of the project, a 450-km stretch is open to Indian contractors without any condition on them to form a joint venture with the Japanese firms for civil construction. The estimated cost of civil construction of the project is around 50-60 percent of the total project cost. Whenever expertise is available within India, the work will be done by Indian companies only. The 21-km tunnelling work would be done by Japanese companies as they have the expertise, but it does not mean that the entire cost of tunnel work would go to Japan. For instance, tunnel boring equipment is manufactured by a German company in Chennai. If they get the order, they may manufacture in India, which should be seen as ‘Make in India’. In tunnel work, most of the material like raw material, reinforcement and steel bars will be produced in India. In Vadodara, Ahmedabad and Sabarmati, where high-speed stations would be built, we are trying to rope in a prime contractor from Japan to prepare design and planning of the sub packages and award them to Indian companies. Again, the technical skills come from Japan initially and then the Indian companies will gradually learn. Whatever technology is not available in India has been assigned to Japan. Signalling, rolling stocks and electrical side, among others, will be entirely done by Japanese companies. NHSRCL will do competitive biddings amongst Japanese companies to get the technology which India does not have. Efforts will be made to have joint ventures with Japanese companies or transfer of technology to do manufacturing in India. The department of industrial policy and promotion (DIPP) is the nodal agency which is discussing issues like having JVs with Japanese companies and transfer of technology. How much land is required? JICA’s feasibility report mentions that Valsad and Plaghar have high tribal population. How will the NHSRCL carry out the resettlement of the affected families? According to the initial estimates, around 900-1,000 hectares of land would be required for the project and 1,100 families are likely to get affected. A social impact assessment consultant has been assigned to conduct field inspections and assess the exact number of families to be rehabilitated or resettled. Yes, it is a matter of concern that there is a significant population of scheduled tribes in Valsad (Gujarat) and Palghar (Maharashtra) but I feel that displacement would not be an issue because the project is mostly on elevated tracks. NHSRCL will discuss with the affected people to get their feedback and understand what they need from the government. The matter in Palghar is more critical. Tell us about the footfall required and the fare structure for the viability, and also the speed of the bullet train. Based on different surveys, the estimated ridership will be around 40,000 passengers per day. By 2053, around 1.86 lakh people will be travelling by bullet train every day. In the initial phase, there will be 35 trips each way between Ahmedabad and Mumbai. Fare will definitely be lower than the flights and it cannot be compared with the existing fare of the Indian Railways. India’s bullet train fare will be competitive enough compared to its competitors globally. The fare will be around 1.5 times of the AC first class fare of an express train. For example, if an Ahmedabad-Mumbai flight costs around Rs 4,000, the one side trip of the bullet train would cost around Rs 3,000. In fact, the low-cost airlines will face competition from the bullet train in the coming years. The global experience has been that the airlines have phased out and not the bullet trains. The design speed of the high-speed train is 350 kmph, while the maximum operating speed is 320 kmph. The rolling stock and tracks would be designed to run at a speed of 350 kmph but we will not run the train with maximum design speed. Usually, we keep the operating speed 10 percent lower than the design speed. A recent IIM Ahmedabad report claimed that the bullet train will have to ferry around 1.18 lakh passengers per day or do 100 trips a day between Ahmedabad and Mumbai to make it financially viable. Your views? Financial viability is something which different people take in different prospects. We should be able to run the system on our own without seeking any grant from any source. Another aspect of viability is from the economic perspective. Infrastructure projects should not be looked purely from the profitability point of view. In any infrastructure project, it is very difficult to earn profits in its initial phase. Currently, it takes eight hours to reach Mumbai from Ahmedabad. If people cover this distance within two hours, they can utilise the remaining six hours for some productive work. People all over the world resisted the first-time projects and as soon as they start using them, it becomes a necessity. The project will definitely generate operating profit and would not need money to run the system on yearly basis, but it will not be able to support the depreciation. It will be able to support the 0.1% interest on loan and the operating cost. What plans do you have for getting uninterrupted electricity supply for the bullet train? Getting uninterrupted electricity supply for the high-speed network is another challenge. A study is being conducted by the NHSRCL to understand the best way of tapping electricity. There are five-six power distributers with whom the talks are going on. We will have the figures of the exact amount of electricity required for the high-speed train in the next three months. Once the statistics are with us, we will accordingly approach the distribution companies. The Shinkansen system requires the least power consumption per seat compared with any other high-speed trains globally. There are reports that Maharashtra has some reservations on the proposed high-speed station at Bandra Kurla Complex. It’s not a bone of contention between the Maharashtra government and the NHSRCL. The BKC in Mumbai has two sides: one is an exhibition ground and the other is the G block. The Maharashtra government has asked us to examine the G block first and if it suits our requirement, the NHSRCL will build the high-speed station there; otherwise the exhibition ground area would be chosen. Investigations are going on to find a suitable location in BKC. According to media reports, the Shinkansen technology of the bullet train was a flop in Taiwan. What makes you sure that it will be a hit in India? The loan interest and depreciation cost were the major reasons behind the poor show of the bullet train in Taiwan. It is not that people are not accepting the bullet train in Taiwan. I would not say the Shinkansen system has failed in Taiwan. Ridership is increasing gradually. The bullet train started in 2007-08 in Taiwan and at that time the ridership was around 40,000 and by 2014 it went up to 1.40 lakh per day. The air traffic in the same sector is reducing in Taiwan. The project came up in Taiwan on public-private partnership (PPP) basis, which is not the case with India. Taiwan’s loan was a commercial loan and India’s interest on the Japanese loan is very nominal. Besides, India will have to pay interest 15 years after receiving the loan, which gives us enough time. If Taiwan takes out depreciation, even now its bullet train will become profitable. If the bullet train was not acceptable to Taiwanese people, how come the traffic increased? Air traffic in Taiwan in a certain section has almost come down to half. Many believe that the loan given by Japan to India is not a soft loan. Please elaborate. In all likelihood, if Japanese Yen becomes strong [appreciates] then India will have to pay more. But, will the sanctioned amount of loan remain the same after 50 years? If we simply take escalation of 4-5 percent into account, which usually happens in India, the project cost of Rs 1.10 lakh crore will become Rs 1.30 lakh crore in terms of net present value in the next 50 years.